I live in a village near Sonapur town, on National Highway 37. I occasionally have to go to Sonapur for my banking and medical needs. This morning, I went to withdraw some money from an ATM in order to buy some medicine. Other customers came out shaking their heads. “ Why ?” I asked. 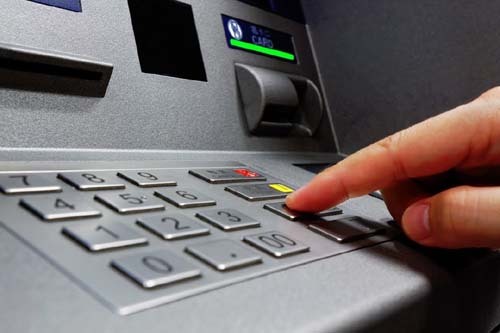 It seems some customer, frustrated that there was no money in the ATM, had smeared “ Fevi Kwik ’, One Drop Instant Adhesive ” all over the keys into which you punch in your secret number. “Saturday. Four days ago ”. Saturday is the weekly bazaar day in Sonapur. It is the biggest weekly bazaar between Byrnihat, on the Assam-Meghalaya border near Jorabat, and Jagiroad in Morigaon district. I go to both the weekly bazaars. Byrnyihat on Friday, Sonapur on Saturday. “This is a very big bazaar,” said Mr Daniel Ingty, Director of Horticulture, ( retired ), Government of Meghalaya. Of Sonapur weekly bazaar. Traders from Ri Bhoi district, Meghalaya, are an integral part of Sonapur weekly bazaar. On bazaar day, the ATM’s ( there are five in Sonapur bazaar ), run short of money. As Sonapur is on the Assam – Meghalaya inter-state border, the demand for cash is more. Sonapur is home base to Air Force Station, Digaru. Also to one Battalion each of SSB ( Shastriya Seema Bal) and ITBP ( Indo-Tibetan Border Police). Centre for Plasma Physics (CPP), a laboratory of the Department of Atomic Energy, Government of India, abuts the backside of my property. North East Regional Headquarters of National Investigative Agency (NIA) is coming up five minutes walk from my place. Don Bosco Unuiversity, Kamarkuchi Campus, is about 10 minutes walk from my place. A Corporate Hospital is coming up in Goriaghuli village, also about five minutes from my place. As a result, Sonapur, a rural back water 40 years ago, is fast transforming into an urban kind of agglomeration. If you go to Sonapur bazaar today, you will see ladies wearing ‘ Phanek ‘ and talking Meiteilon. Or wearing ‘Dakmanda ‘ and speaking Garo. Or wearing ‘Jainsem ‘ and speaking Khasi. Or, Punjabi, Gorkhali, Maithili, Bengali, Assamese…. Sonapur town has become a cosmopolitan place. I can only describe them with an Angami word. “ Ayale ” means, “ My God ” in the Angami language of Nagaland. “ Prabhu Ishwor ” in Assamese. “ Yam Phajai Ko ” in Meteilon. Forty years ago, only Assamese, Bodo, Amri Karbi and Sadri were spoken in this area, a tribal belt of Kamrup. Who says there is no “ development ” ? But it is at the cost of the tribal people of Assam. The tribal people are losing their land. Today, July 4, there was a BIG DEMONSTRATION BY THE AMRI KARBI people of the Sonapur area. “ Tez Dim, Kintu SSB’k mati Nidiu ”. The Government of Assam has requisitioned about 300 Bighas of land [ 1 Bigha = 14,400 square feet ] in the Amri Karbi tribal belt in the Sonapur Revenue Circle, Kamrup Metropolitan District,to oblige the Union Government and set up the SSB Battalion Headquarters, Sonapur . The ITBP ( Indo-Tibetan Border Police ) has been given an almost equal amount of tribal land next to the SSB Camp. Also, the National Investigative Agency ( NIA ), which has been given about 250 Bighas ( I do not know the exact amount ),very near my place. And this, in a ‘Tribal Belt ’ of Assam. ARE TRIBALS GOING TO BE EVICTED FROM EVERYWHERE FOR THE SAKE OF ‘ DEVELOPMENT ’ ?